I am head of the Family team. I assist clients going through all aspects of relationship breakdown with particular emphasis on situations with complex and high value assets involving businesses, properties, pensions and trusts, frequently with an international dimension. I am also often asked to advise on pre and post nuptial and cohabitation agreements, with a view to minimising the damage and distress that can arise from a relationship breakdown in the future. In a career spanning more than 30 years, during which time I have specialised in family law, I always strive to adopt an understanding and pragmatic approach, wherever possible through negotiation, litigation or my collaborative practice. I am a member of Resolution and the International Academy of Collaborative Practitioners and listed as a leader in my field in both Legal 500 and Chambers Directory. Department head Judith Ball is praised by clients for her “sensible and pragmatic approach.” She impresses with her handling of complex financial cases, including those involving Court of Protection issues. 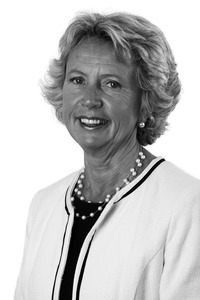 Judith Ball leads the department and has a good reputation for handling finance cases involving pensions and business interests.Sources say: "She is extremely pragmatic, down-to-earth and she doesn't get caught up in legal point-scoring."